WhatsApp beta for Android 2.18.93: what’s new? WhatsApp has submitted a new update through the Google Play Beta Program, bringing the version up to 2.18.93. Analizying it, it seems nothing is new, but WhatsApp is starting to develop a new feature. 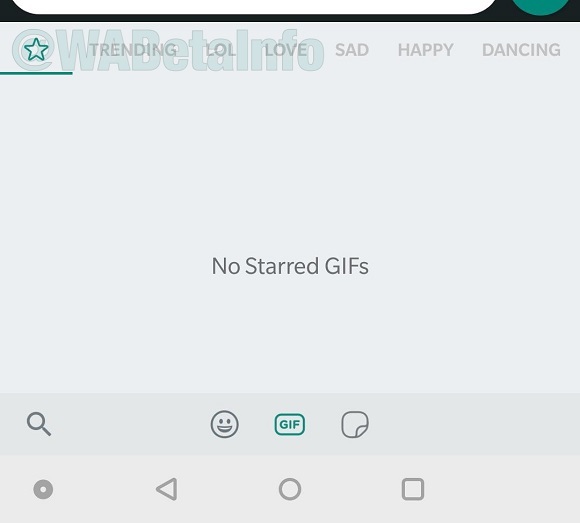 • The Advanced GIF Search feature is not available yet. WhatsApp is started to work on this feature in the 2.18.93 update, but the developers are keeping it disabled for development reasons and it will be enabled in next releases. So it’s okay if you have updated your WhatsApp version and you don’t see it, but probably it will be available very soon, also if we don’t precisely know the day. 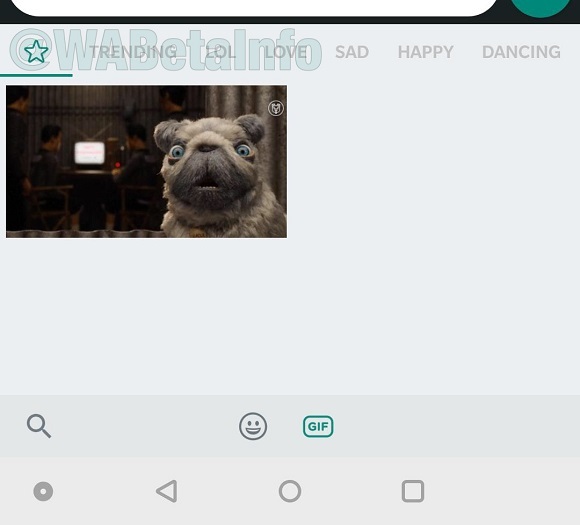 WhatsApp is currently working to improve the GIF sharing feature, allowing the user to quickly search them using CATEGORIES. Current supported categories are: TRENDING, LOL, LOVE, SAD, HAPPY and DANCING. It’s really possible WhatsApp will support more categories later. 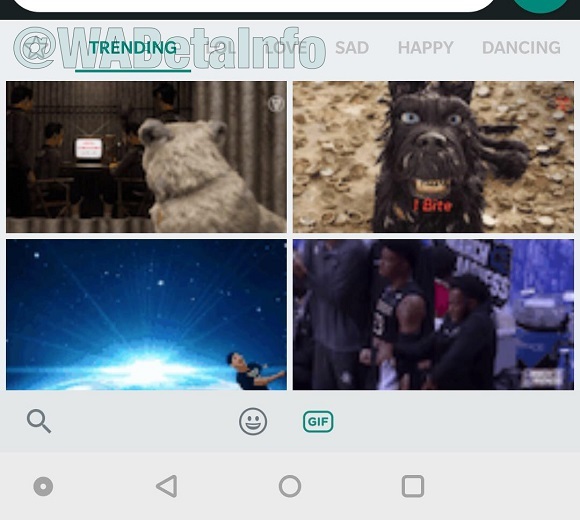 Another new featured added in the Advanced GIF Search feature, that will be available once the feature will be released for everyone, allows to quickly find Starred GIFs. The feature is under development and it can be remotely enabled in next releases. Previous PostPrevious WhatsApp beta for Android 2.18.90: what’s new? Next PostNext WhatsApp is rolling out the new change number feature!